Vitamin E based lubricant made specifically for artificial eyes. 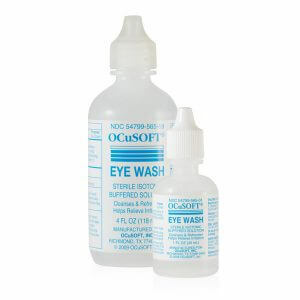 This product is especially helpful to patients with scar tissue, multiple surgeries, eyelid lacerations and chronic irritation. Occasionally, artificial eye wearers will experience dryness, irritation, increased drainage or difficulty blinking. This is especially true of hot, cold, windy, dusty or air-conditioned environments. These conditions tend to evaporate the moisture from the front of the prosthesis. I’ve been using this lubricant on my prosthetic eye for several years now. It’s the most effective of the many products I tried–plus,it’s made with natural ingredients. One small drop or two works wonders. Highly recommended. I have had a prosthetic eye since 1964 , 3 different ones in fact. In all those years , I have not found eye drops that work to relieve the irritation that is common with prosthetic eyes. These drops from Erickson Labs are amazing. I wish I had found them 59 years ago ! I just sent it back for a refund. First thing it did not have a seal on the bottle in which I have never purchased one before that did not. 2nd I put one good drop in my eye and had a bad reaction for 2 days. With that said I will move on to some other brand. I have tried the Sil Ophtho in varying viscosities, and they are excellent. To me, the Vitamin E works every bit as well, but I really like how the Vitamin E is dispensed. The size of the drop and the ease of dispensing the perfect drop make the Vitamin E the better choice for me. This libricant keeps me from being in pain every day. I live that it is all natural too. These are the only eyedrops that work for my daughter & we always procrastinate on ordering! Good thing they get shipped super fast so that is never a problem! Great product, super fast shipping! Excellent service. I will always continue ordering from you. You are all so pleasant and courteous. works well overnight but during the day it seems to produce discharge that usually is not present. As always, I love these eye drops. And they get here quickly! But shipping prices are kind of expensive. I went many years trying to find products to help lubricate and clean my prosthetic. Thankfully I found Erickson Labs. They have everything you could possibly need for cleaning and lubricating your eye. They is also a wealth of information on their website. Based on a review of another of your customers, I tried this product. I had been using other eye drops 5 or 6 times a day. With this product I only use it 1 or two times a day! I’ve used the Vitamin E Lubricant for the 3 years I’ve had a prosthesis and depend on it! Great as usual, they arrive quickly and do the job. I AM VERY SATISFIED WITH THE PROCESSING OF MY PURCHASE,WHICH BY THE WAY IS THE ONLY EYE DROP THAT I FOUND IS PERFECT FOR ME, FAST DELIVERY ALSO. Wore an artificial eye for six decades before being introduced to this necessary and wonderful product! This Vitamin E, Aloe based lubricant was given me by the ocularist with my original artificial eye. 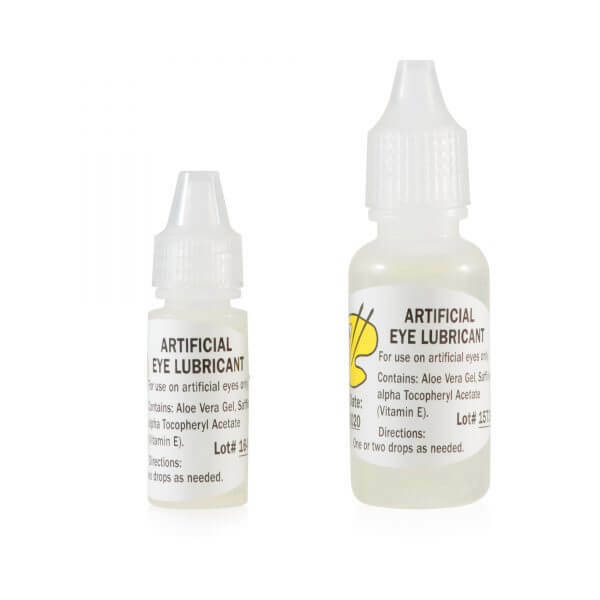 That was 12 years ago and since then, due to issues resulting from a damaged tear duct, I’ve tried every artificial eye lubricant I could find, and while all the products sold on this site are good, I always return to this one. 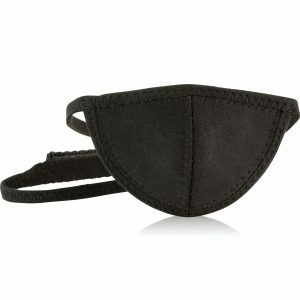 I have to use this product several times a day and bought this for a backup because don’t want to be without this…also I often misplace things and with limited vision may take me a while(or days) to find them. This is the only location I have found to purchase this product..so will be purchasing more from here. Every morning I place a single drop in each of my prosthetic eyes and let it coat my artificial eyes. The lube instantly makes them feel more comfortable and I’m sure the Vitamin E is good for me. Not only are they more comfortable but there is less drainage as the irritation level is greatly diminished. I will continue to use these drops and will order more when the time comes. I haven’t had a chance to try it yet, but from what I’ve read, it should be perfect for what I need it for! Thank you. It arrived on time. I HAVE TRIED OVER THE COUNTER EYE PRODUCTS WHICH ARE GELS THAT LEAVE MY EYE MOIST FOR A WHILE,BUT MY EYE BECOMES DRY AFTER A FEW HOURS. I SEARCHED THE WEB,AND FOUND ERICKSON LABS NORTHWEST AND FOUND THE BEST I’VE EVER HAD. IT IS IN LIQUID FORM,WHICH I PREFER,ONE DROP LAST ME ALL DAY! THIS I INCLUDES BEING IN AIR CONDITION OFFICES,WIND,BEACH ETC.I HIGHLY RECOMEND THIS PRODUCT. I purchased this product for my daughter who is getting a new prosthesis on Feb 15th. I wanted her to have a good product for when she is getting used to the new prosthesis. She has tried them n says they help. This is the best lubricant I’ve used on my prosthesis. Thin but lasts. Very satisfied with product. Should also not shipping was one day. One day! to be fair, my husband has not used this item yet BECAUSE it came without it being sealed on top. The other products I have ordered have Always had the plastic seal on them…Frankly we are wondering if it is safe to use or has it been tampered with!! I think it is probably a good product but….! The Sil-Ophtho products work well for me, but I prefer the Vitamin E lubricant because it is more comfortable, lasts longer, and dispenses far more easily than the Sil-Ophtho lubricant. chat with. Keep up the good work, your company could surely give a lesson to others on the internet. Been using for 4 years and it is the only eye lubricant that works for me. I love it. Order was received in 3 business days; great experience as always. Had a burn in 1971 and had 2 failed corneal transplants. I use a “shell” hard contact lens. My Ocularist gave me sample of lubricant – that company went out of business. Online, I found Erickson Labs, bought the lubricant, Love it and highly recommend it. Wonderful! Best thing I’ve ever used. My 10 year old son LOVES this oil for his prosthetic eye. His eye no longer “goops”. Thank you! One less thing for this mom to worry about!! Fantastic! I’ve never found anything in 20 yrs like this. For years I’ve used vitamin e for moisture. This is so much better. It has the moisture but no mess. I immediately bought a 2nd bottle. One for home & one for the purse. Thank you. Iam loving theses drops!!! For many years I have used prescription drops which have helped but nothing like these eye drops!!! you have a customer for life in me!!! Thanks for making theses eye drops!!!! I’m in the middle of the process of having my eye socket reconstructed, along with a new prosthetic. This product is SO much better than the silicone based lubricants. It’s long lasting and has the added benefit of actually healing my very irritated eyelids. A very small drop on my finger to does the trick, twice a day for me. Thank you SO much! From a 20 year user of silicone eye drops, I have now happily switched to the Vitamin E drops. These drops are longer lasting and make for a much more comfortable experience than silicone. These were recommended by my ocularist as a replacement for Ocu-Glide and I find they are much better. This is a new product for me in that I have just started a month ago with it. Trying to decide which one of these 2 products work the best for me. Getting a new prosthesis in a month and hope that helps. Works great if you have an eye socket the runs dry. A drop of the lube goes a long way. Works like a charm. This is some great stuff ! I have tried sil-optho, and one other kind but can’t remember the name and both of those just made my eye puss. mostly in the summer on hot and dry days here in Southern California, I put a drop or two directly in the socket and am good for most of the day. Thanks a bunch for making (of what I assume) a non petroleum based product. I have used several different kinds of lubricant since Ocu-glide when off the market and this is the best I have found!! Love it! Only have to use a couple times a day unlike the others I have tried. I have tried so many lubricating products over the years and this product is by far the best without question; and you cannot beat the price. I also use the Sil-Ophtho-H?, Heavy Viscosity, 15mL, I find both products to be extremely good; there is nothing like them over the counter in our local pharmacy. This is a good product, especially for the value, and Erickson ships it instantly. Erickson is very convenient and reliable. I will continue to purchase this product and other products from Erickson in the near future. Thank you! The website was well organized. Able to place my order quickly with no problems. Will order from Ericksonlabs again. Wondering about the shipping fee..being charged for almost 6 but it cost only more than 2 dollars? The product came fast with no problems. Thank you so much. I found that the eye drops were very good and helped with lubrication and protection. I would recommend them to anyone. These were especially good when eye and lid have become sore. Use these under normal days clear and not windy. I thought the shipping was a little expensive. The product feels great for a while, but the relief does not last very long for me – no more than a half-hour. It’s better at night, not surprisingly. For women who wear mascara, the product’s use during the day creates a mess as the stuff just drips all over the place and unless you are very careful when blotting you’ll have a great black smudge under your eye. At the hefty price, I will not be buying again – I can get visine for a quarter the price and no shipping charge and it works about as well and is less messy. I was very satisfied with the delivery time associated with my order. Thank you. I have the book that is your featured product and it is a good read for anyone learning how to adjust to “a singular view”. I wish I had had this 53 years ago when I first lost my right eye following an auto accident. excellent delivery time and product, great price.